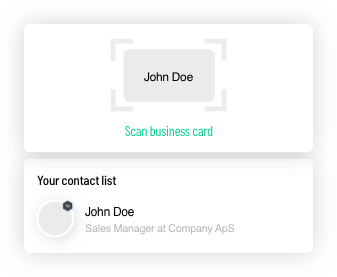 Stinto is a powerful contact management platform that provides a fast and simple solution for exchanging contact info. With Stinto, all your contact info is always at your fingertips, and always up-to-date. 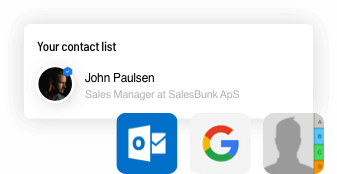 When your contacts change their contact info, it will update in the app automatically. 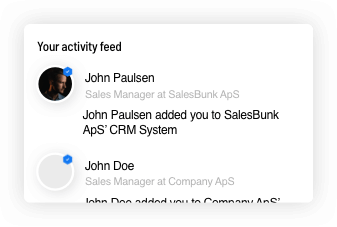 Stinto notifications help to ensure that when you share information with your companies CRM, your remain GDPR compliant. Receive real-time notifications when there are changes in the business network that matters the most, to you, and your business. 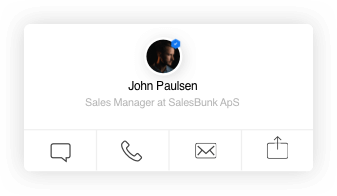 Ideal for all people who want to share their contact details in a seamless manner and never have to send e-mails or text messages to you network when any of your contact details changes. 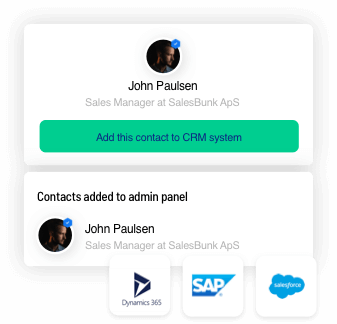 Ideal for all business who want to provide their employees with a customised business card and automated transfer their commercial relationships into your CRM. €99/year per employee.